All employees of Northwest Gas Ltd. are committed to providing our customers with fast, reliable and professional service. From initial contact, we will do our best to ensure all inquiries are processed promptly and efficiently, and our customers receive superior service at reasonable rates. Installation contractor for major department store chain specializing in the installation of gas appliances. After 14 years of proven excellence in the HVAC industry, Northwest Gas Ltd. joined the Lennox Independent Dealership team. Service and installation of furnaces, fireplaces, water heaters, gas lines and safety inspections for gas utility company. "Dealer Achievement Award" for excellence in salesmanship and customer service. 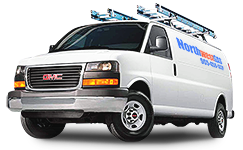 Northwest Gas Ltd specializes in the sales, service and installation of gas-fired equipment in the Brampton, Mississauga, Oakville, Georgetown and Etobicoke areas. Member in good standing of the Heating, Refrigeration, Air Conditioning Institute. Fully Insured, including liability insurance. All Service and Installation Technicians are fully licensed and participate in ongoing manufacturer's training sessions. Administrative staff to manage all calls on a 24 hour basis. Our phones are answered by a real person - not a machine. All customers and their equipment information is entered into our fully automated computer customer profile database to enable us to have the most up-to-date information readily on hand at a moment's notice.